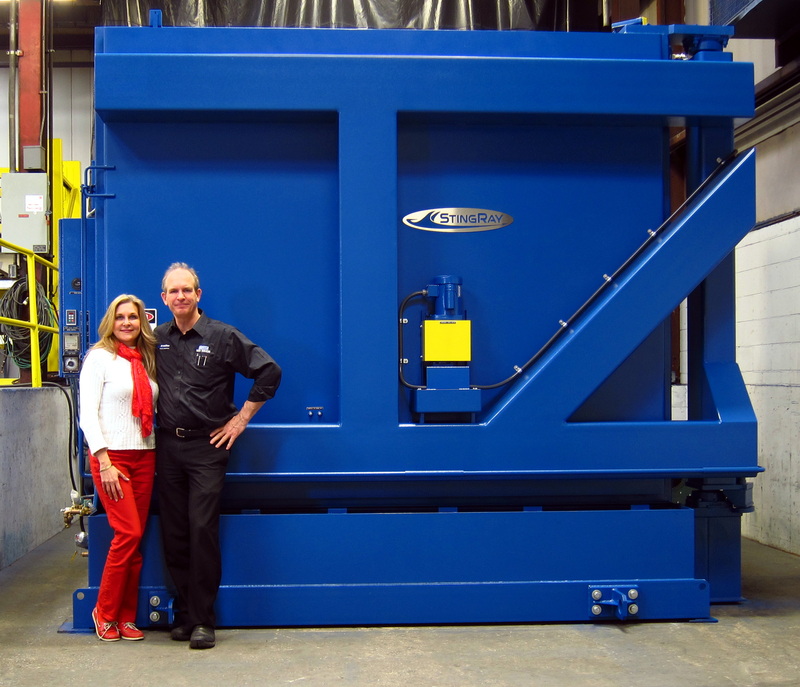 StingRay Parts Washer realizes that when you make a large capital investment in your cleaning, you naturally research various manufacturers of parts washers. It is the right thing to do when making an investment. Please ask the others these simple questions and compare their responses to the StingRay solutions offered to our end users throughout our 40-year history. ♦ Ask about their Operating Manual. 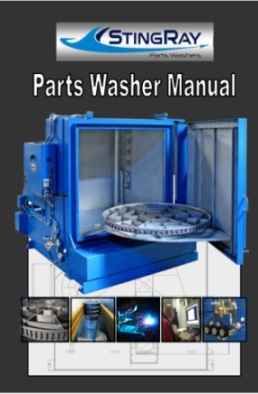 The StingRay Parts Washer Manual is a 250-page+ professionally-published operating manual. Much more than just operating, it is an encyclopedia on parts cleaning, discussing not only the theories of operation, but maintenance and troubleshooting as well. ♦ Ask if they have a Training Video. 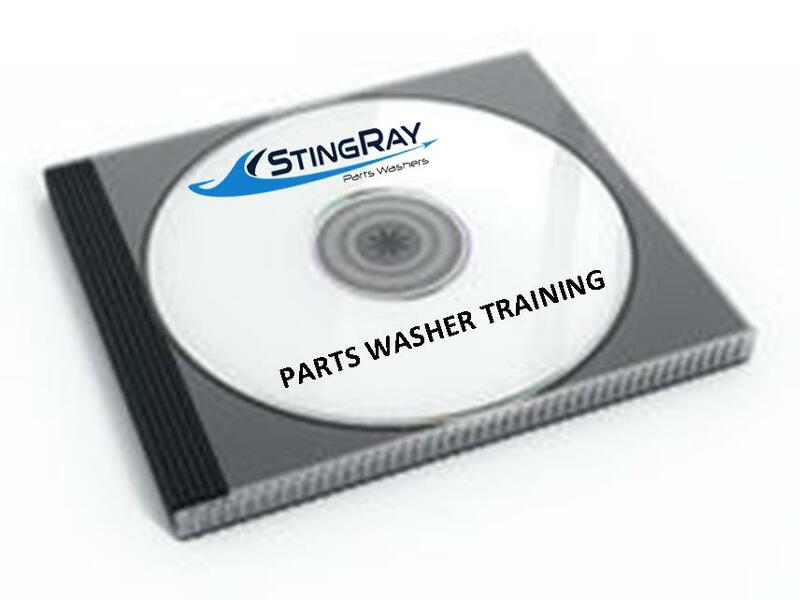 The StingRay Parts Washer Training Video is 45-minute training resource for your operators and maintenance crew during the start-up of your machine, but also provided the know-how for many future operators during the 20-plus years lifespan of your StingRay Washer. ♦ Ask about Parts and Service. StingRay's own independent service company, StingRay Tech Services, that keeps your critical replacement parts in stock, provides technical assistance, service visits, commissioning, training, and a complete line of proprietary detergents, which is unique to the industry. Not many other parts washer manufacturers have a service department, much less a separate company totally dedicated to your service needs. The organizational structure is designed this way on purpose so that StingRay Tech Services is completely focused on its one-and-only mission: Total Customer Care. ♦ Ask about Freight & Shipping for your new machine. The StingRay Logisitics Team utilizes a group of hand-picked haulers and international freight forwarders, developed over time to specifically ship large washing machines throughout the world. ♦ Ask to see photos of heavily soiled parts cleaned. Most other companies specialize in light duty cleaning as the small horsepower pump systems indicate flooding the parts with high concentrations of chemical. Compare this to the StingRay Power Wash Process that blasts parts with high-impact pressure and high heat. StingRay can strip paint, remove rust and cosmoline, easily removes sand, dirt, road crude, grease, oil, etc. - But you need power to do it. Compare pump sizes, pump efficiency, and heating system input power. ♦ Ask if you are provided with a Build Record. Most likely StingRay is the only manufacturer providing weekly status reports with photographs of the fabrication of your parts washer on the production floor. We want you to see us build your StingRay - in fact, you can visit our factory at any time! ♦ Ask for a link to their Service Website. The dedicated website for all of our StingRay and former MART Power Washer Users is the only one. You can download an extra copy of your operating manual, download electrical schematics, use our tools and chemical calculators, troubleshoot your parts washer, find replacement parts, and study & learn about parts cleaning - A 24/7 support partner exclusive. ♦ Ask if you work Directly with the Factory. StingRay does not work through commissioned sales people, reps or distributors, who never allow you close access to the factory and those that are directly related to the design and build of your parts washer. With a StingRay Parts Washer you are always working DIRECT with the factory and our engineering team to configure your parts washer. No mark ups, no commissions, no sales prices "just for you! "-type incentives. With StingRay, you get no-nonsense pricing and quotations that show you how - and most importantly, WHY - your parts washer is configured to meet your cleaning specifications. Working with StingRay, you learn much about parts cleaning. Teaching the WHY helps you make the most informed decision. 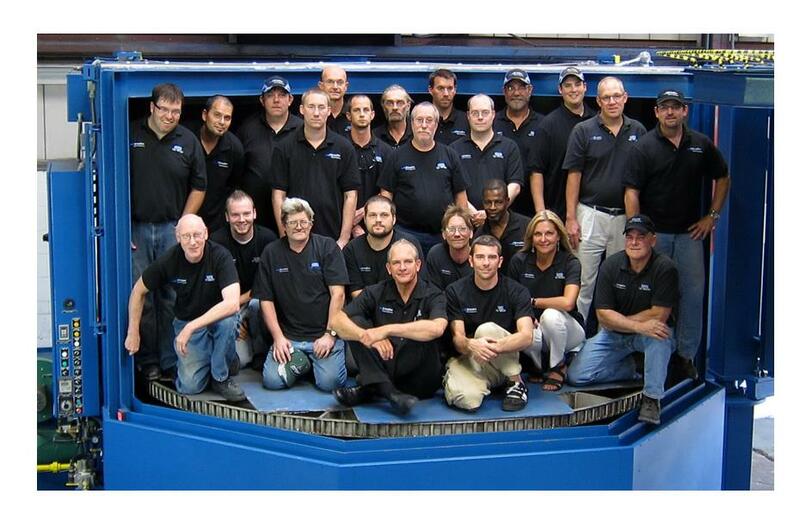 ♦ Ask other manufacturers if your parts washer is based on engineered options or is a "stock" washer. No one should get a "one size fits all" parts washer, or worse yet, "the prototype". StingRay Parts Washers are configured from 27 models and over 100 pre-engineered options to create an expertly configured machine for your cleaning needs - NOT a one size for all. Most importantly, the options are field tested and field proven in hundreds of applications just like yours. Be sure to ask how many systems they have doing your type of work, and how many machines they have configured like you want. ♦ Ask to Talk to the Owner. When you work with StingRay Parts Washers, you know that one owner engineered your StingRay and holds various patents, and your direct contact is the other owner. The "buck stops here", we will always make it right for you. Many manufacturers of washers compete solely on price. Their parts washers are built with only price competition in mind. As a result, components and systems selected are the cheapest ones that barely function. StingRay's philosophy is totally different. Our mission for the past 40 years is to provide parts washers based on performance and value, dependability, reliability, and long life with field-tested and field-proven systems to Deliver Clean Parts is what StingRay is after, and that is what you want too - a clean part, period.